Bleuette was first offered in 1905 as a subscription premium doll for La Semaine de Suzette, a weekly magazine for girls. 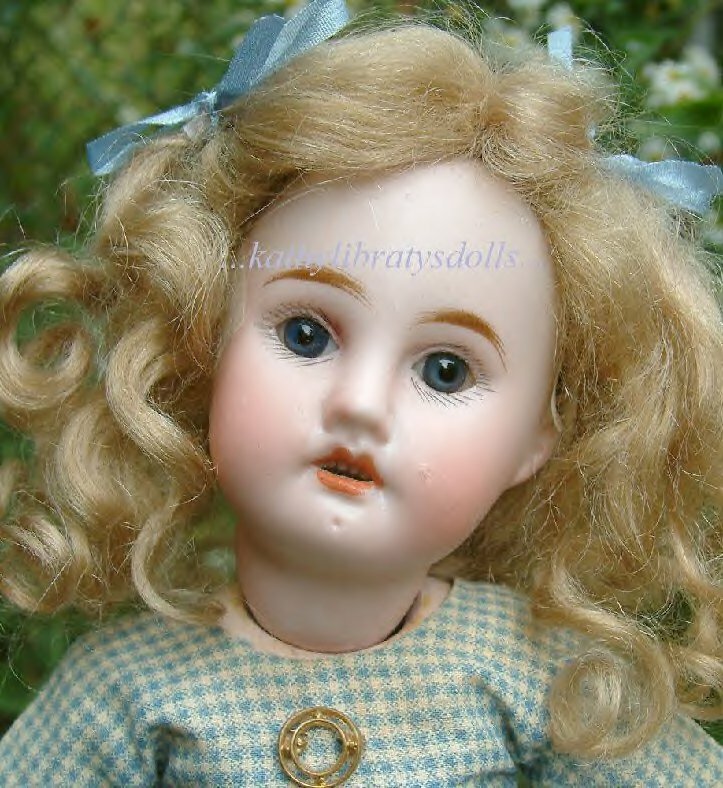 With the initial subscription, Gautier-Languereau offered a free doll--this was Bleuette. Gautier-Languereau was overwhelmed with requests from young subscribers---over 80,000 little girls wanted this new magazine...and the doll! 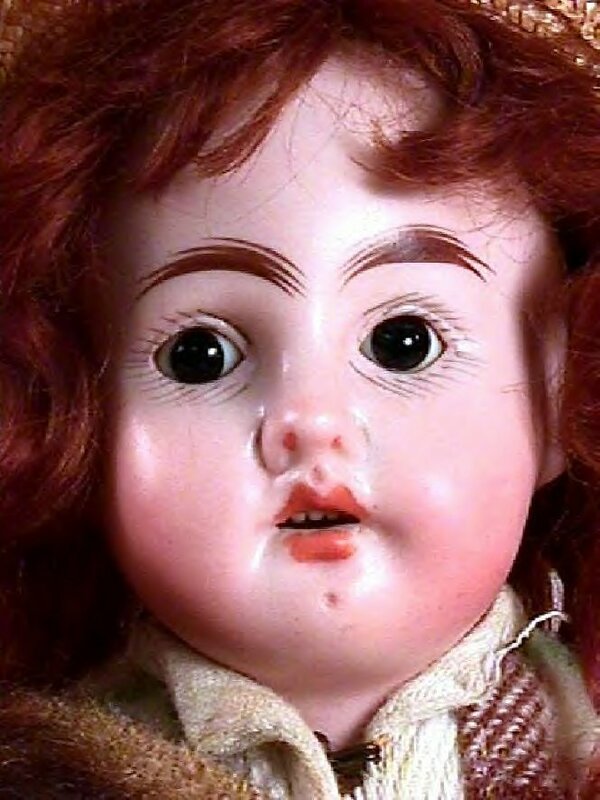 According to generally accepted information, Gautier-Languereau had only about 20,000 dolls ready to deliver at the initial offering....this first doll is best described as an open-mouthed Tete Jumeau of size number "2." Today, she is commonly known as the "Premiere" Bleuette. 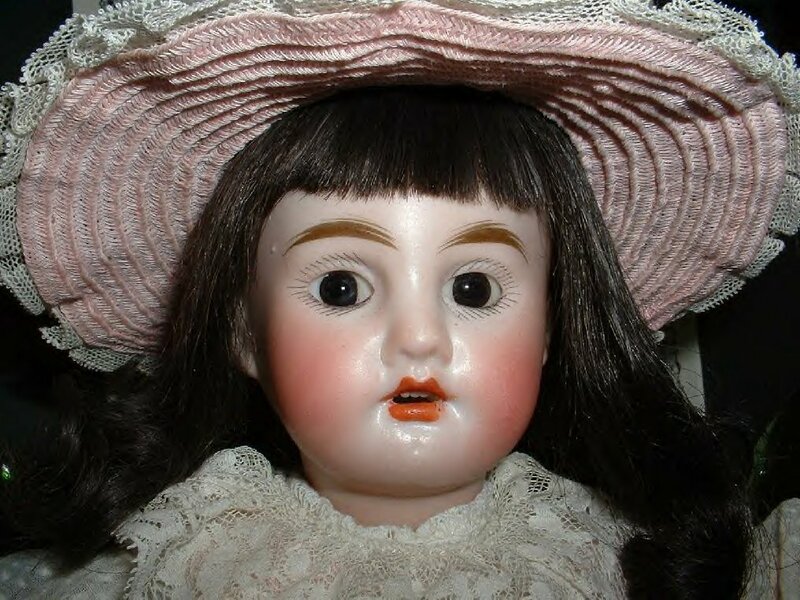 The 6/0 doll was the second doll offered by Gautier-Languereau and used to fill the remaining 60,000 orders in 1905. The 6/0 was manufactured by a German firm, Fleischmann and Blödel. Fleischmann and Blödel owned factories in the Sonneberg area in Germany but the firm also had a presence in Paris, France. In fact, Fleischmann was the first director of the SFBJ doll conglomerate when it was founded in 1899. The 6/0 Bleuette was made and sold as Bleuette by Gautier-Languereau from approximately 1905 to 1914. It is marked only with a "6/0" on the neck and has no identifying mold number. This "6/0" mark actually indicates the size of the doll. For instance, a doll marked 3/0 would be a larger doll than a doll marked 6/0; a doll marked 8/0 would be a smaller doll. Above are photographs of some antique 6/0 Bleuettes. Note the wide nose, the deep philtrum (the "dent" in the upper lip just above the mouth), the deep sculpting on either side of the nose, the smallish eyes that have an upward tilt. The angle of the cut at the back of the head for a 6/0 is distinctive. It's not as deeply slanted as the Premiere Bleuette, but it's also not cut as high to the top of the head as the SFBJ 301, SFBJ 60 or SFBJ 251. 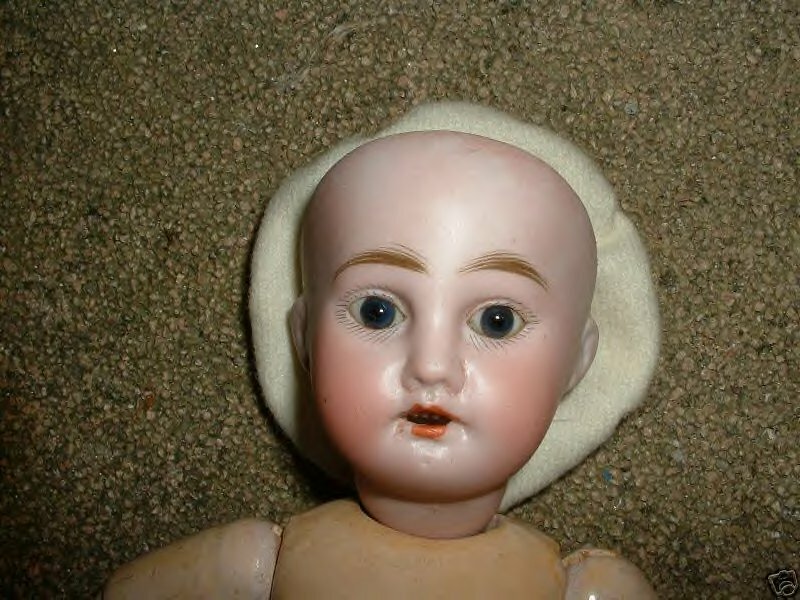 Below is a photo of a 6/0 Bleuette reproduction pictured next to an antique 6/0 (Suzanne Fletcher's doll). 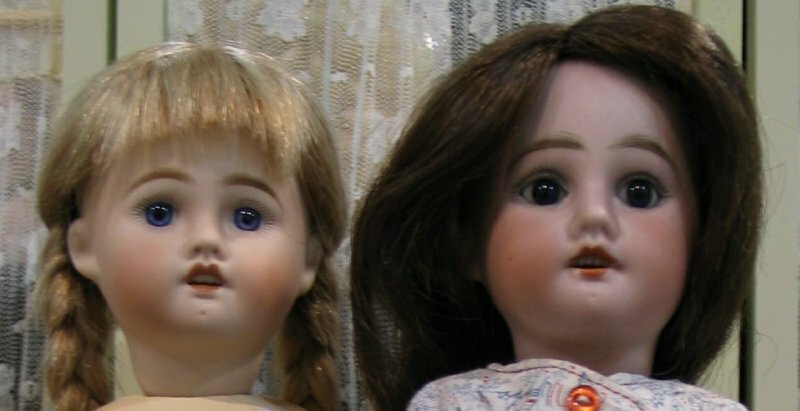 Although the reproduction head is smaller than the antique doll head, you can see the family resemblance!